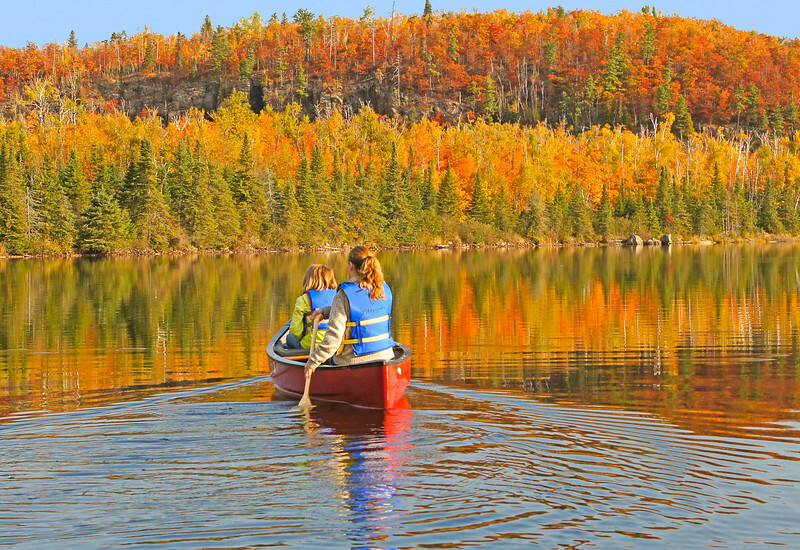 We rented two of the canoes which are located at the camp and canoed across Mic Mac Lake. The colors couldn’t have been better. It almost seemed magical floating along the glass like surface of Mic Mac Lake. I think both Kate and Jenny will remember this shared moment for some time. 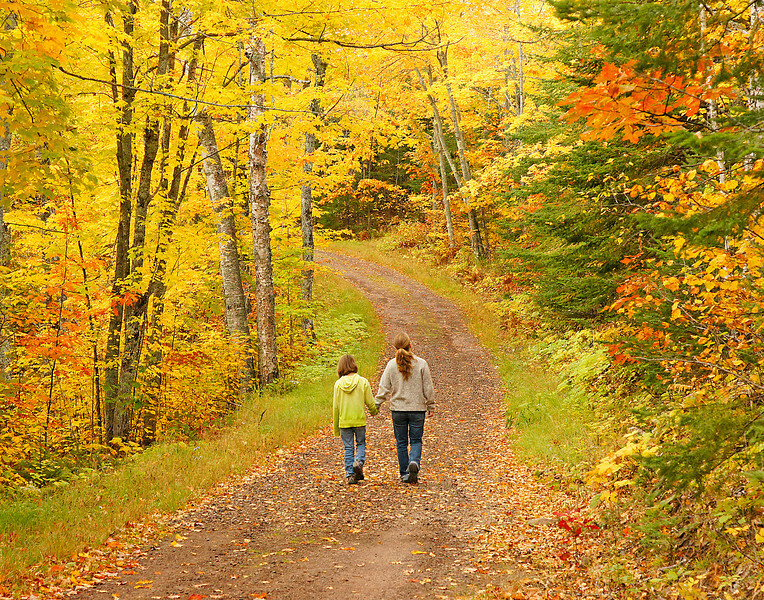 It is so important to make those outdoor memories with your kids or grandkids. Sometimes you get plants with strange shapes in a floating bog. Here Kate is shaking hands with a Tamarack Tree that seems like it came right out of “Alice in Wonderland”. 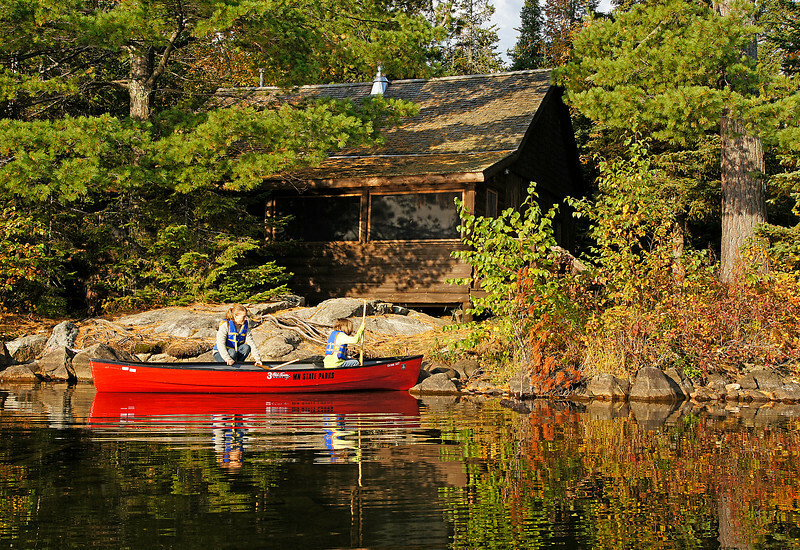 Within the historic Tettegouche camp are four rustic cabins available for overnight rentals. We took a short hiking trail over to Nipisiquite Lake. The water was just as calm on Nipisiquite. We sat on the rocks enjoying the view for some time. None of us wanted to leave. It was one of those perfect days. Back canoeing on Mic Mac we took a side trip to a floating bog. Kate had never walked on a floating bog before. 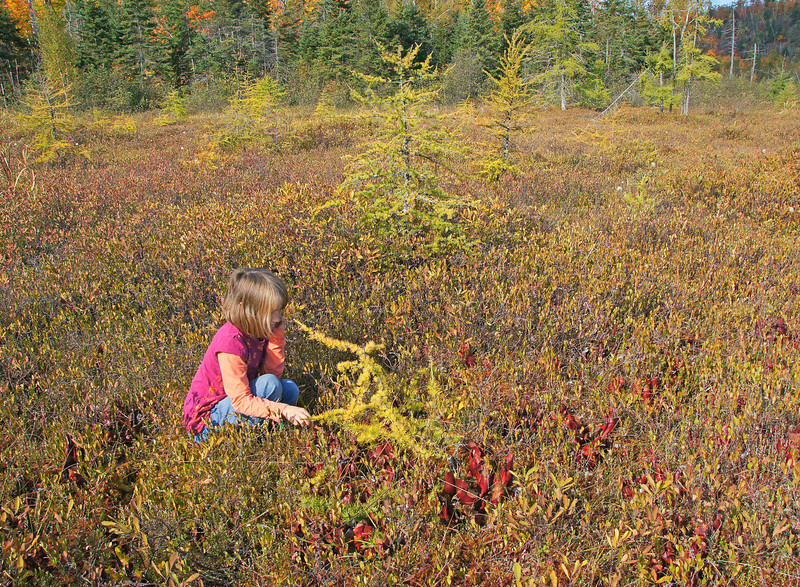 As she jumped from the canoe the bog moved up and down like a sponge. Along with other bog plants we found thousands of Pitcher Plants. 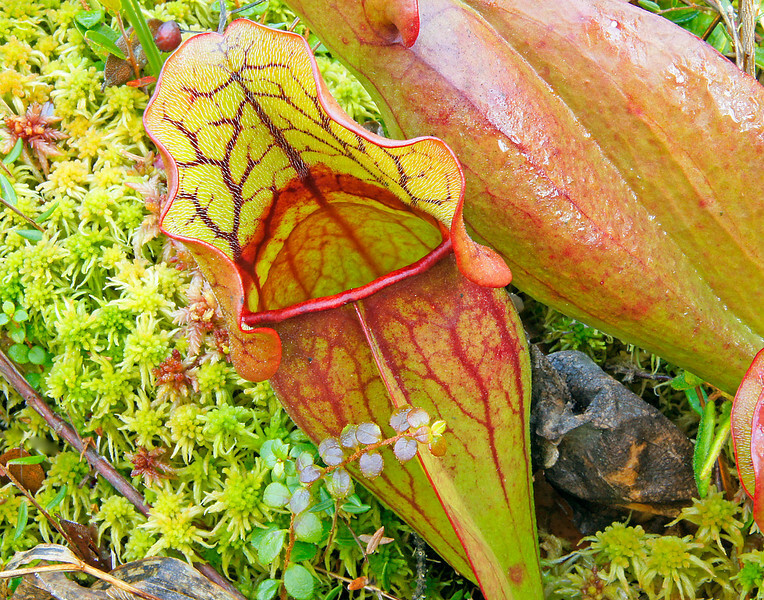 Pitcher Plants are carnivorous, getting their nourishment from eating little insects. Downward-pointing bristles help trap insects as they enter the pitcher-like leaves. The pitcher is half filled with water containing a poisonous cocktail that kills and dissolves the insect. Kate put her finger in the plant to check out the bristles. She found out that when you push your finger down along the inside it feels as smooth as silk but when you pull it back out it is as rough as coarse wool. 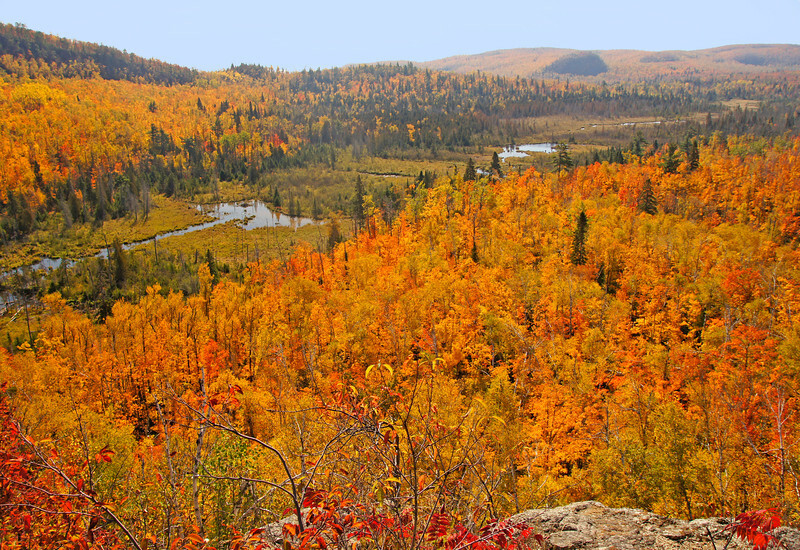 Some of the brilliant colors of the maples and oaks along the Superior highlands were still showing this last week. 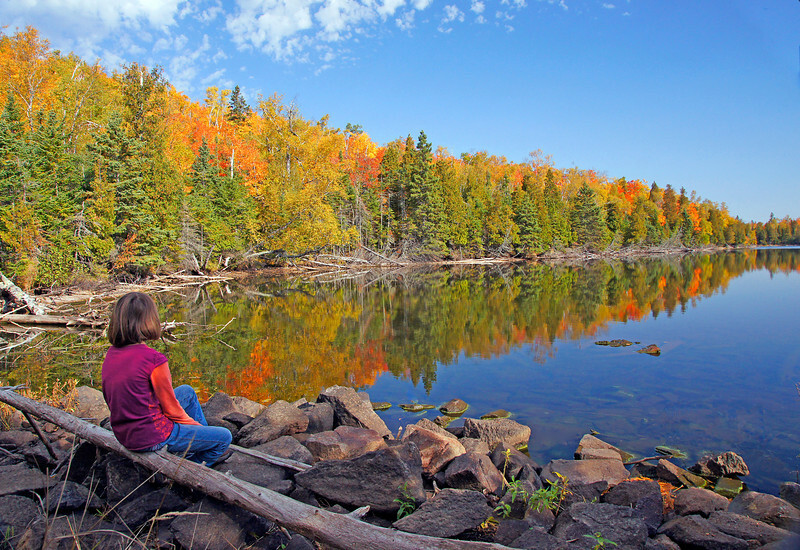 I got a chance to accompany Jenny and Kate Walsberg on a mother daughter outdoor adventure into the historic Tettegouche Camp located in Tettegouche State Park. 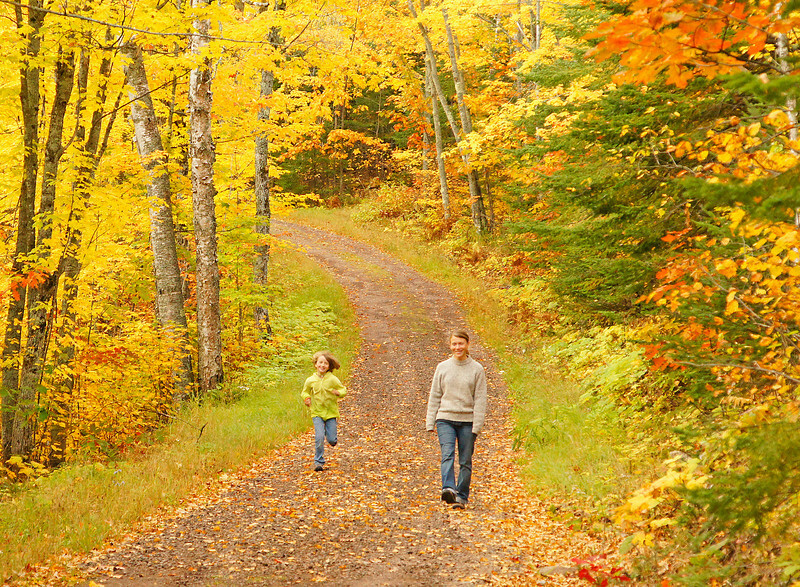 If you haven’t had any quality outdoor time with your kids or grandkids in awhile I would suggest that you take them by the hand and head for your nearest State Park. You will come away energized and with a smile on your face. If you have never hiked the mile and a half back into this beautiful wilderness area I would highly recommend it. 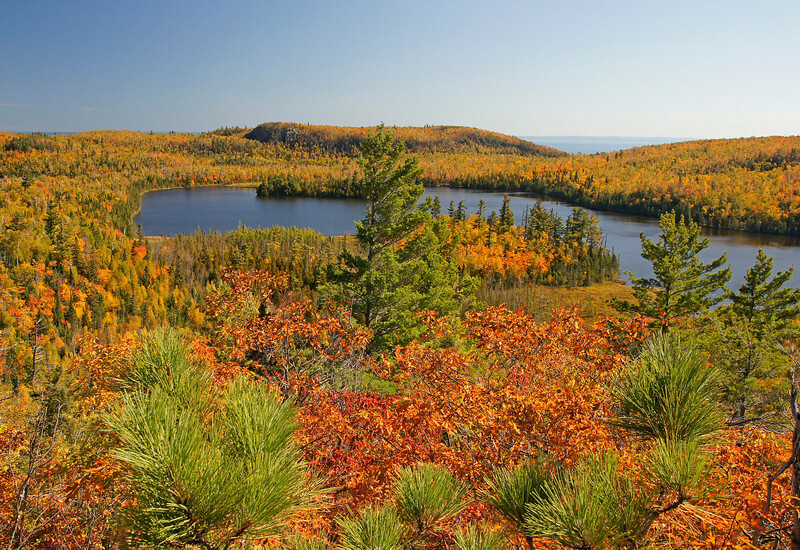 There are high ridges that give you awe inspiring views of four mountain like lakes high above Lake Superior. 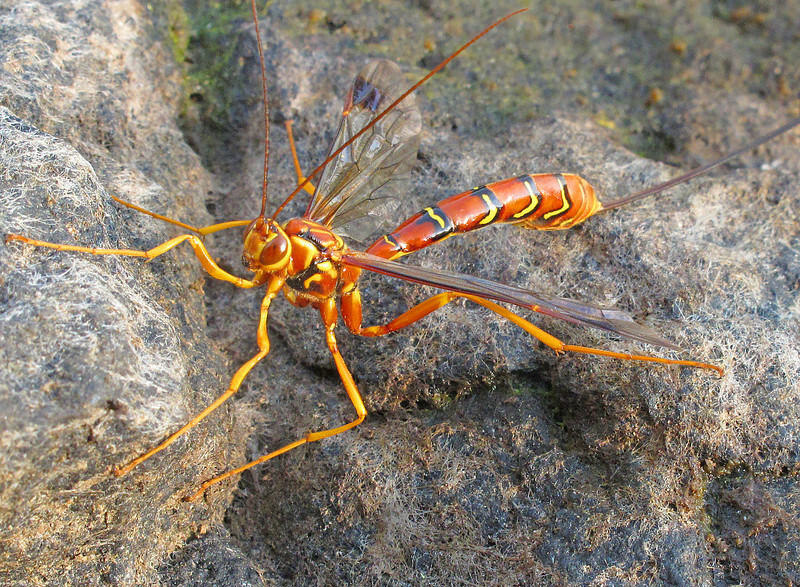 Kate and Jenny started walking along the shoreline looking for turtles and other critters when Kate came across this wasp. It looks scary at first but does not sting. Its long tail is for boring under tree bark and laying its eggs on beetle grubs.